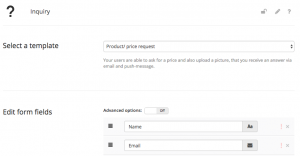 Give your users the opportunity to contact you through this module. Just like the form module, you can choose between different form templates and add form fields that app users can fill out. 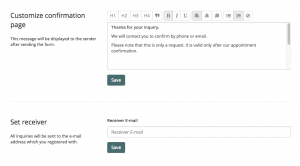 You can also compose a confirmation message and specify the e-mail address to which the requests are to be sent.